Elephant’s Graveyard, Kimball Arts Festival, Tchaikovsky’s 1812 Overture and more. It's never easy to launch a new small theater company, and those who do often find themselves working in makeshift spaces. That's why Anthem Theatre Co. Creative Director Caitlin Bell is delighted to be staging a production of George Brant's 2008 play Elephant's Graveyard in the Rose Wagner Center's Studio Theatre. "It's very nice, I have to tell you," Bell says. "It's kind of been a relief to step into this space and say, 'Oh, this is where people actually perform.'" While this might be Anthem's first show in such an established space, this isn't their debut production. 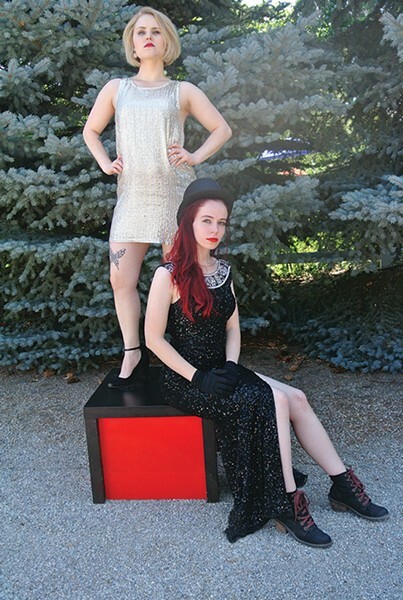 The company launched at the 2016 Great Salt Lake Fringe Festival with an original play about schizophreniz, Conversations With Caligula, written by company co-founder Laurel Myler. That show was followed by a co-production of Alice in Wonderland with aerial arts company Cirque Asylum. Elephant's Graveyard—based on a real-life 1916 Tennessee incident involving the lynching of a circus elephant—fits with these previous productions, according to Bell, as part of the company's mission to "bring to life difficult subjects, and talk about them in a productive way." The summer arts festival season offers many places and opportunities to experience the work of local artists and artisans, but few venues are as unique as Park City's historic Main Street. 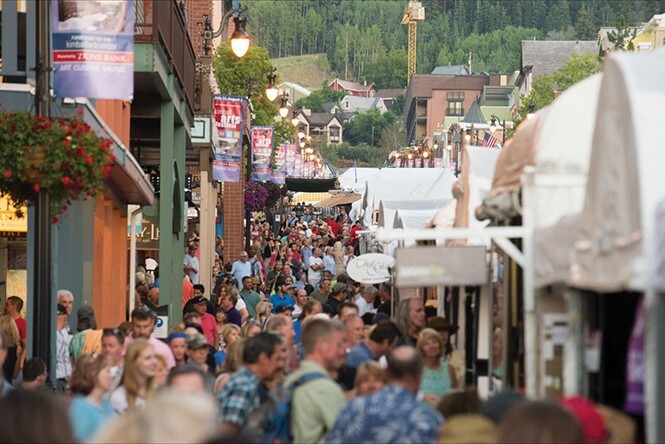 The picturesque mountain thoroughfare once again provides the setting for the 48th annual Park City Kimball Arts Festival, as returning Best in Show award winners from 2016 are among the nearly 200 participating creators of work representing painting, sculpture, jewelry, fiber, glasswork, woodwork and photography. Make your way through the Festival Gallery Stroll for special exhibit debuts, and later join the Festival After Dark to enjoy comedy at the Egyptian Theatre and films from the Sundance Institute. The musical lineup boasts performances from several genres throughout the weekend, featuring bands like Tony Holiday & The Velvetones, Smiling Souls and Michelle Moonshine Trio. Even the little ones can participate in the kids art area, featuring fun activities like face-painting and constructing wind catchers for little to no cost. And as always, it wouldn't be a celebration without a bountiful selection of fare, which you can look forward to at the food truck roundup. The Utah Symphony's now-traditional outdoor performances of Tchaikovsky's iconic 1812 Overture wouldn't be the same without the accompanying live cannon fire at the climax. But who do you turn to when you want your classical music with a side order of artillery? For 40 years, Cannoneers of the Wasatch has taken on that role, according to the group's current president, Charles Freshman, as one of four or five annual summer concert gigs throughout the Intermountain West. The 20 cannons in the group are owned by individual members—all of them built completely or in part by current or past members, using re-machined surplus 40 mm anti-aircraft artillery barrels. "They look quite authentic, and we're asked often how old they are," Freshman says. "People are quite surprised that the oldest are less than 50 years old." 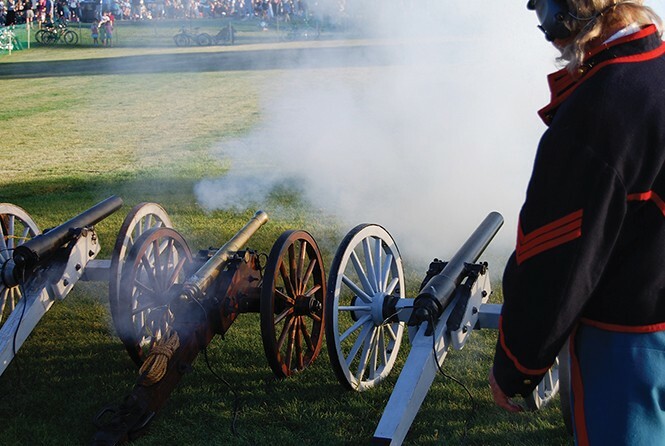 While operating the cannons is just a hobby for the group, Freshman is proud of the attention to safety protocols that has led to more than four decades without a single accident; the group is also required to be licensed by the Bureau of Alcohol, Tobacco and Firearms. For the concert performance—requiring perfect timing to the musical score—a keyboard connected to electronic igniters allows for precise control of the 16 reports in each 1812 performance. Two group members have memorized the Tchaikovsky score to achieve this precision—and it's the only music they need to memorize. 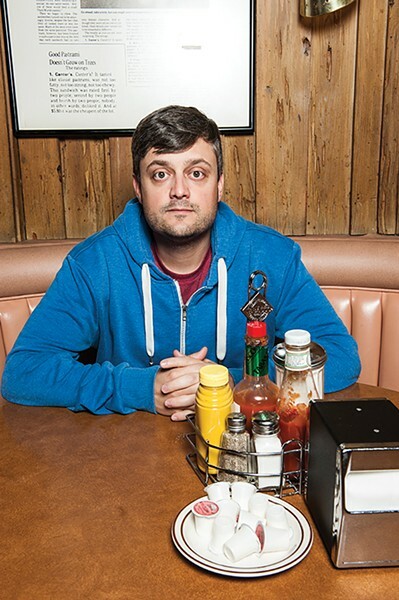 Nate Bargatze imagines he was meant for comedy, stemming from the fact that his dad was a full-time clown until Bargatze was 12 years old. "Do you know how confusing that is?" he asks the audience in his act. "Being screamed at by a guy with a smile painted on his face?" But if Bargatze has had a colorful upbringing, he has also grounded himself with humbling experiences. He's worked everything from delivering pizzas at night and reading water meters to moving furniture for nice old ladies. He's not ashamed to say in his stand-up routine that he was never prestigiously educated: "I went to a community college for one year, and I do not have one credit to show for it. Like, that's worse than not going." However, he believes trying a bit of everything is the best way to find your own interests. This same motto is perhaps what encouraged Netflix to invite Bargatze to appear in its series The Standups, which premiered July 4. Where Comedy Central and HBO once dominated the world of half-hour comedy specials, Netflix has arguably taken the format to the next level in terms of providing exposure for comedians.